One of the projects at NC Climate Solutions Coalition is in supporting communities across our state (and beyond) in adopting a resolution in support of moving their community to 100% clean renewable energy. 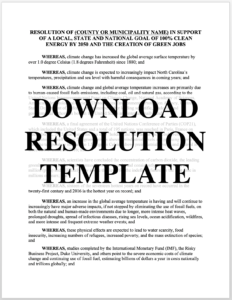 We do this by supplying a template resolution that citizens and policy makers can use as a starting place to develop a resolution for their own community and in supporting other organizations doing the same. In addition, we work with communities in providing solutions and channels for achieving the goals outlined in their resolution. Below are communities across North Carolina that have already adopted a renewable energy resolution. Many more are currently working to develop a resolution for their own community. If you would like to learn more about how we can support you and your community in adopting a 100% Clean Energy Resolution please contact us using the form at the bottom of this page! Help Your Community Adopt a 100% Clean Renewable Energy Resolution! If you’re a citizen or a policy-maker and are interested in working with NC Climate Solutions Coalition to move your community to 100% clean renewable energy, please let us know! We’d love to work with you! Please use the form below and we’ll be in touch! NC Climate Solutions Coalition works at the local, state and national level to create green jobs and to rapidly transition to a 100% clean, sustainable, renewable energy economy to avert climate catastrophe. Have Questions On How You Can Get Involved? We appreciate your interest in helping us advocate for clean, renewable energy. Please use the form below to send us any questions that you have. Our team will respond to you shortly.